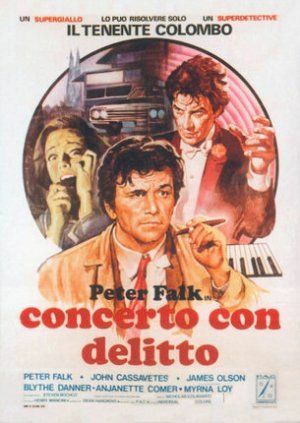 Opening show from the second season of the “Columbo” TV series, starring Peter Falk as Lt. Columbo. 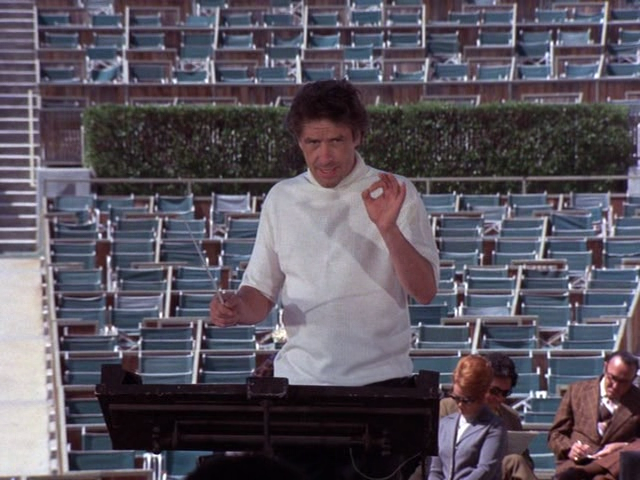 Guest star is John Cassavetes as a famous symphony conductor who murders his mistress, an up-and-coming pianist (Anjanette Comer), and tries to make it look like suicide. 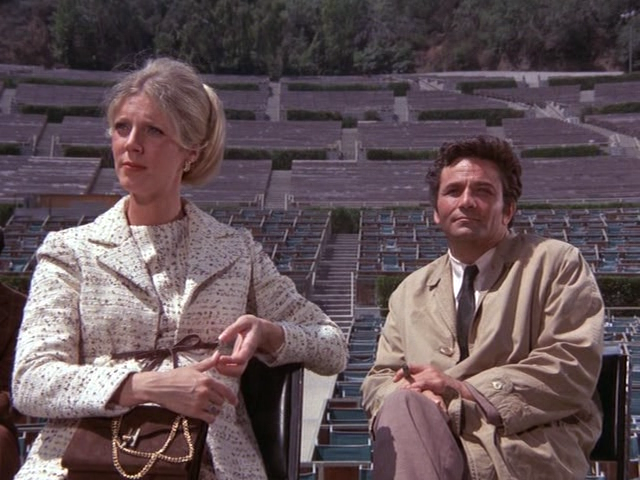 Needless to say, Columbo unravels the truth in his typical entertaining fashion. 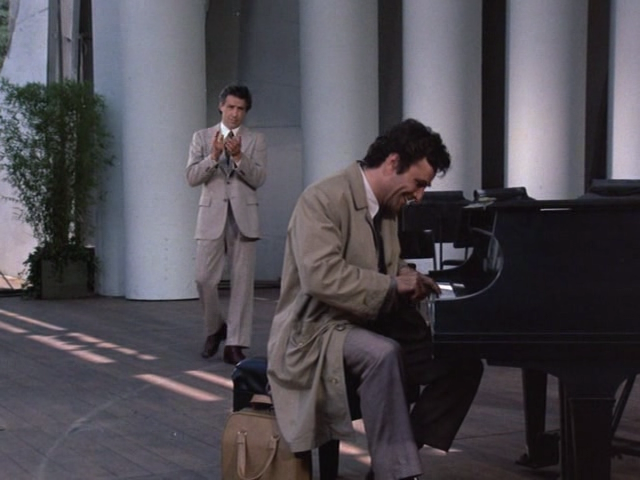 Carney does not consider “Etude in Black” further (other than to say that Cassavetes’s performance in it is one of his best outside of his own films) and does not give his evidence for dismissing the claim that Cassavetes directed part of it. 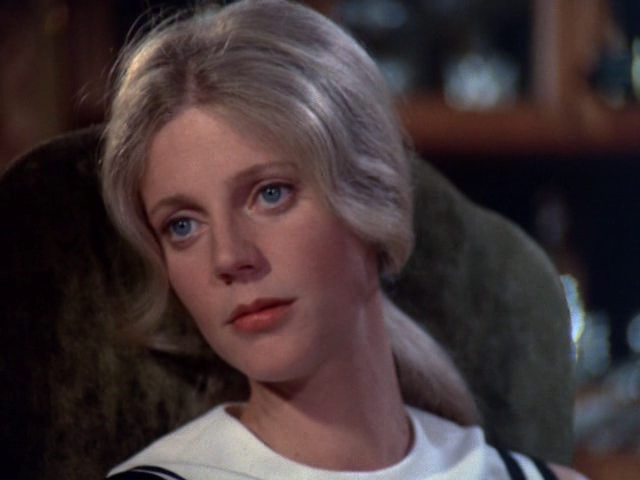 In any case, the episode is a solid one by the standards of the series; Falk is great as always, and the guest performances of Cassavetes and Blythe Danner are outstanding. 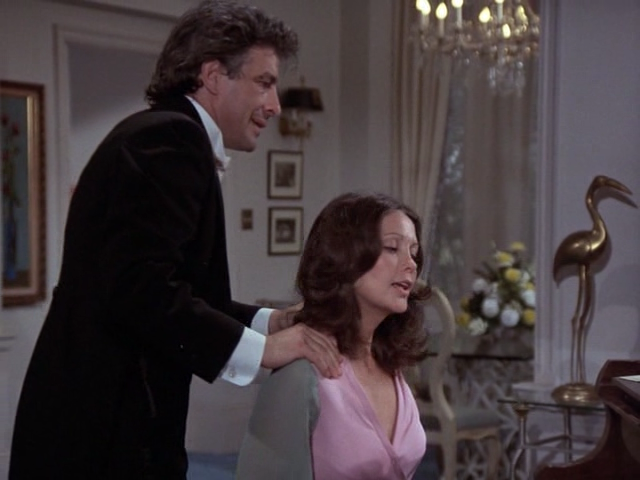 Columbo’s typical wily harassment of his suspect takes on added power here because of the interplay between the two actors, who had already worked together on Husbands. 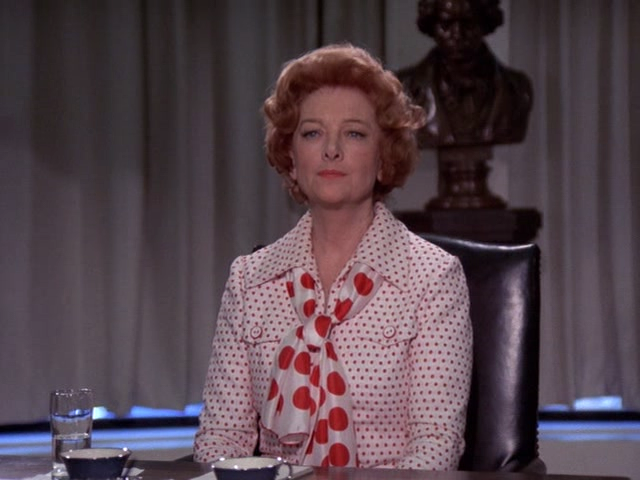 Myrna Loy is good in a small part.